I studied in ancient techniques given by formidable artists and recently more contemporary techniques. Working as a graphic designer from 1992 to 2005 in several advertising agencies, I learned a lot about the visual arts. My main subject to paint is landscape, I also experimenting with contemporary, fanciful and realistic art. Oil and acrylic are my main mediums. 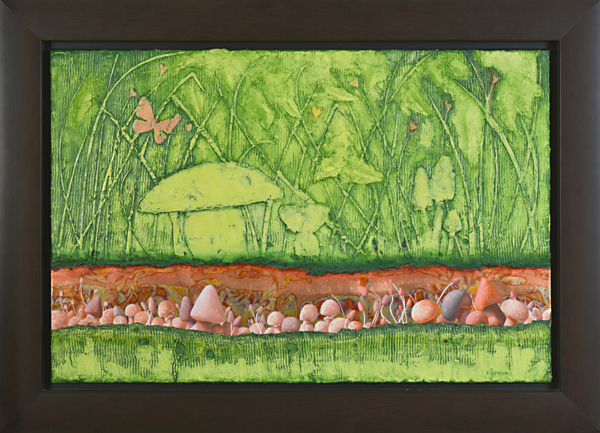 Passionate about the visual arts, I learn and I evolve in each painting that I undertake, nature is my first inspiration. My paintings are detailed and my rendering is peaceful for the eye. I give my possible in each creation and if I am satisfied, the client will be as well. 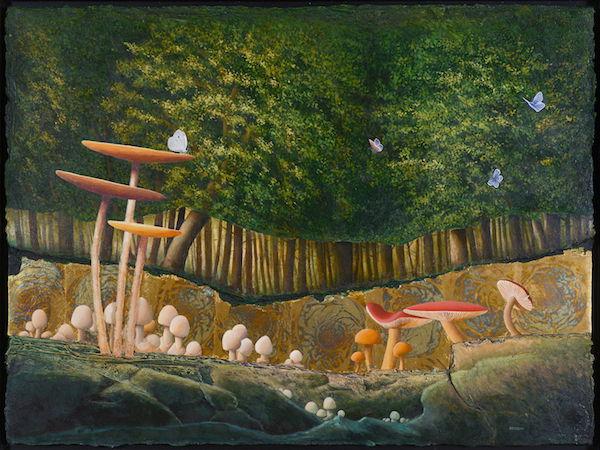 First of a series on mushrooms, unknown mushrooms live in symbiosis with nature, a subject that I develop and explore in a parallel and fanciful world.